The rules detailed below apply to all ESFA competitions except where stated under the heading of any specific competition. The Trophy is the property of the English Schools’ Football Association. The Trophy shall be presented to the captain of the winning team immediately after the match, or at the match function should that be held after the match. The winning School, College, or Association shall be responsible for suitable engraving and for the maintenance of the Trophy in good order. Arrangements for display of the Trophy must be agreed by Council. It shall be the responsibility of the Council Member concerned to ensure the return of the Trophy in time for presentation at the Final. Council will determine closing dates for National Competitions and indicate this on the competition entry forms. Eighteen mementoes (16 players and 2 team officials) shall be awarded to each School or Association taking part in a final tie. Additional identical mementoes may be purchased by the finalists subject to the approval of the ESFA. Four mementoes shall be awarded to the match officials (referee, two assistant referees and reserve official), officiating at a final tie. Each County Champion School / Association (Under 11 7-a-side) will receive a suitable memento. There will be Championship Shields for each team winning an Area Competition (Under 12 5-a-side). Certificates or other suitable mementoes will be presented to each player participating in the Regional Competitions (Under 11). Mementoes will be awarded to all participants (players, team officials – two per team, and match officials) in the National Finals. The entire control and management of the competitions shall be vested in Council, or such committees that shall be appointed by Council. The rules of the game shall be those of the International Football Association Board, except as otherwise stated. a retired teacher, or present or past employee of the education service who has received direct approval in writing from the appropriate Local or County Schools’ Football Association to undertake such responsibilities. has at least a level 1 FA coaching qualification. has undergone a (FA DBS) Disclosure & Barring Service check – any payment associated with this shall be the responsibility of the Local/County Schools’ Football Association. Approval may be withdrawn by the ESFA, or the Local or County Schools’ Football Association, at any time. Any other person assisting with or coaching a team must operate in the presence of a person who is qualified under (i) or (ii) above. (ii) A retired teacher, or past employee of the education service or an AOTT who has received direct approval in writing from the appropriate Local or County Schools Football Association to undertake such responsibilities. (d) (i) Approval may be withdrawn, by the ESFA, the Local and/or County Schools’ Football Association, at any time. (ii) Any other person regularly assisting with or coaching a team must have an FA RC check and safeguarding training within the previous 3 years (either though an educational establishment or the F.A.) and operate in the presence of a person who is qualified under (i) or (ii) above. (iii) Associations must, at all times, comply with the FA’s/ESFA’s Safeguarding Criteria. Compliance must be in place at the time of affiliation. (e) An individual cannot be the named manager/coach for more than two teams within the same Association, although they can be named as assistant manager/assistant coach for more than two teams. (f) All District and County Associations who run representative teams must register all team personnel with the ESFA as a requirement of the affiliation. This information must be registered with the ESFA as part of the affiliation process, prior to affiliation being approved. (g) Any official or player representing a School or Association in membership with the Welsh Schools’ FA participating in any of the ESFA national competitions who is reported for misconduct, on or off the field of play, shall be referred to the Council of the Welsh Schools’ FA for appropriate action. If a pitch is provided for U13 / U14 it is recommended that 7 x 21 goalposts are provided. However, it should be noted that 8 x 24 would also be acceptable as not all sites will be able to provide specifically for this age group. Artificial Turf Pitches (3G Artificial Pitches) are allowed in this Competition providing they meet the required performance standards and are listed on the register and must be tested (by an accredited test institute) every three years and the results passed to The FA. The home team is also responsible for advising participants of footwear requirements when confirming the match arrangements. The ball shall be size 5 except where stated under a specific competition rule. ‘Repeated’ substitutions are allowed in all competitions up to and including the Under 18 age group. In these age groups, a player who has been substituted during a match becomes a substitute and may, in turn, replace another player at any time subject to the substitution being carried out in accordance with Law 3 of the Laws of the Game. 9v9 and 11v11 matches: Teams are permitted to use 5 substitutes from five named players. (a) Protests against decisions made in ESFA National Competitions shall be considered under paragraphs (f) and (g) below. (i) All protests shall be in writing and shall be received at the DSFA nominated address within 2 working days of the match concerned. (ii) No protest relative to the ground, goalposts, or other appurtenances of the game shall be considered unless a protest in writing was made to the referee before the start of the match. (iii) Any protest shall be signed by the Headteacher/Principal as acknowledgment of their approval of its submission. (iv) The (insert responsible person/committee) will gather any evidence they wish to have before making their decision. (v) A copy of this decision must be relayed to both teams in writing. (i) Any appeal against the decision of a District Schools’ FA within the CSFA boundaries must be made within 2 working days of the receipt of the ruling that the DSFA has made. (ii) The appeal must arrive at the CSFA headquarters by letter, countersigned by the Headteacher/Principal/Association Secretary and accompanied by a School/College/Association cheque for £50. This will be returned if the appeal is upheld. (iii) The appeal will be considered by (insert responsible person/committee) and shall be final and binding on all participants. (i) All protests shall be in writing and shall be received at the CSFA nominated address within 2 working days of the match concerned. (i) Any appeal against the decision of a County Schools’ FA must be made within 2 working days of the receipt of the ruling that the CSFA has made. (ii) The appeal must arrive at the ESFA headquarters by letter, countersigned by the Headteacher/Principal/Association Secretary and accompanied by a School/College/Association cheque for £50. This will be returned if the appeal is upheld. (iii) The appeal will be considered by the ESFA’s Governance Committee and shall be final and binding on all participants. 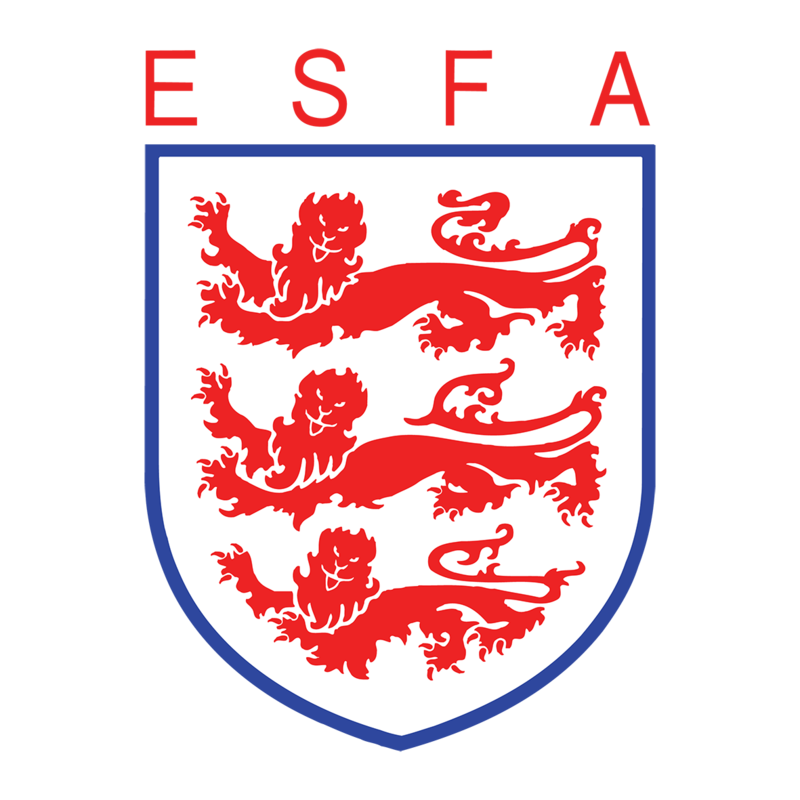 (i) All protests regarding ESFA national competitions shall be in writing and shall be received at the ESFA headquarters within 2 working days of the match concerned. (iii) Any protest shall be signed by the Headteacher / Principal or the relevant Association Secretary as acknowledgment of their approval of its submission. (iv) The National Competitions Department (NCD) will gather any evidence they wish to have before making their decision. (i) Any appeal against the National Competitions Department (NCD) decision must be made within 2 working days of the receipt of the ruling that the NCD has made. (ii) The appeal must arrive at the ESFA headquarters by letter, countersigned by the Headteacher / Principal / Association Secretary and accompanied by a School / College / Association cheque for £50. This will be returned if the appeal is upheld. (iii) The appeal will be considered by members of a panel appointed by the ESFA Competitions Committee Chairman. The Competitions Committee shall have the power of Council to make all decisions in relation to the organisation, control, and management of any ESFA competition which shall be deemed to be the decision(s) of Council and shall be final and binding on all participants. Council shall fix target dates by which all matches shall be played. Failure to keep to those dates may lead to disqualification. In the event that the team secretaries are unable to agree a mutually convenient date to play the fixture, the default date for playing the match becomes the published deadline date. Expel any team from the competition. Where Schools or Associations have similar colours, the home team shall be entitled to retain their colours and the visiting team shall change to colours that provide a satisfactory contrast. Teams must not wear shirt advertising of a conflicting interest to that of the competition’s sponsor. Players’ shirts shall be numbered. Attire worn by players and staff must only reflect their School, College or Association and not make any reference to other football organisations. If Council has any doubt over the qualification of a player taking part in any competition, it shall have the power to call upon the player’s Association or School to which he or she belongs to prove that he or she is qualified according to the rules, and failing satisfactory proof the offending School or Association shall be disqualified from the competition. Mixed-gender matches shall be played in line with current FA regulations. However, in all ESFA competition matches in the U12, U13, U14, U15 and U16 age groups which may involve players of mixed gender then only players from the same chronological academic year group shall take part. A player may only play for the School or College he/she is currently attending and on whose roll he/she appears at the time of the game in which he/she is playing. A pupil shall not play for more than one School / Association / County in the same competition during any season, except by permission of Council. Pupils under the statutory school leaving age who are not on the roll of a school may apply to the ESFA to participate in representative football for the Local or County Association in which they reside. A pupil on a managed move referral is not eligible to participate in a national competition fixture without the permission of the English Schools’ FA. In the National Rounds of all 11-a-side and 9-a-side competitions, extra time of 10 minutes each way (7 minutes at under 12 and 13) shall be played if the match ends in a draw. Should the scores remain equal after the conclusion of extra time, then the result shall be determined by the taking of kicks from the penalty mark (taken in accordance with the recommendations of FIFA and published in the Laws of the Game). If, in the opinion of the referee, for circumstances beyond the control of the organisers, scheduled extra time in a match cannot be started or completed, a match shall be deemed to have been completed at the end of normal playing time. Penalties, if scheduled, shall then follow. Postponed or abandoned matches in the Individual Schools’ competitions shall be played by the Saturday following the target date. Where schools are not mutually agreed on a date, then the matter will be referred to the Competitions Committee (via the ESFA Office). Postponed or abandoned matches in Inter Association or Inter County Competitions shall be played as Council directs. In the event of any match being abandoned for any reason stated under Law 5 of The Laws of the Game, Council shall have the power to allow the score at the time of the abandonment to stand and to remove from any competition any team found guilty of causing such abandonment. There shall be a half time interval of ten minutes in all 11-a-side matches which can only be altered with the consent of the referee. All arrangements for Finals shall be subject to the approval of Council. The Match Officials shall be appointed as Council shall direct. Their duties shall be accordance with the Laws of the Game as sanctioned and enforced by the International Football Association Board. In the event of a referee failing to appear, the teams involved must agree in writing upon one on the ground so that the game shall be conducted in accordance with the rules. The official so acting shall have the powers of a duly appointed referee. Match Officials for National Competitions shall be arranged by Council Members in accordance with the rules of the competition. Matches will be played on Saturdays, but a match may be played midweek where teams are mutually agreed, or, where on the application of the home team, the Council considers it desirable. In the case of emergency, matches must be played on any date ordered by Council. Financial assistance to the Competitions is at all times subject to confirmation by the Trustees in accordance with General Rule 10. Details of financial assistance will be circulated to the participating teams at the start of each season. In exceptional circumstances where a School / College / Association needs to organise an overnight stay for the Official Party, and such an arrangement is approved by Council (access through the relevant Council Member), assistance towards the cost shall be up to £30 per head. These expenses will not be set against the gate, but will be met by the ESFA. These rules may be altered only at a General Meeting of the Association in accordance with the principles laid down in General Rule 15.